There is an endless supply of astronomical and astrophysical reports with “surprising” findings. However, the observations fit within the Electric Universe paradigm. A recent report in October 2008 concerns the close correlation of X-ray and optical light emissions from two black hole candidates: GX 339-4 and Swift J1753.5-0127. Each system is theorized to have a black hole in orbit around a normal star. This report describes how these systems were observed in X-ray and optical light at the same time. The surprise was that the optical light and X-ray emissions were closely synchronized to each other and obviously coupled to a common physical cause. This observation completely contradicts current theory which predicts that X-ray and optical emissions result from entirely different mechanisms in these black hole binaries. 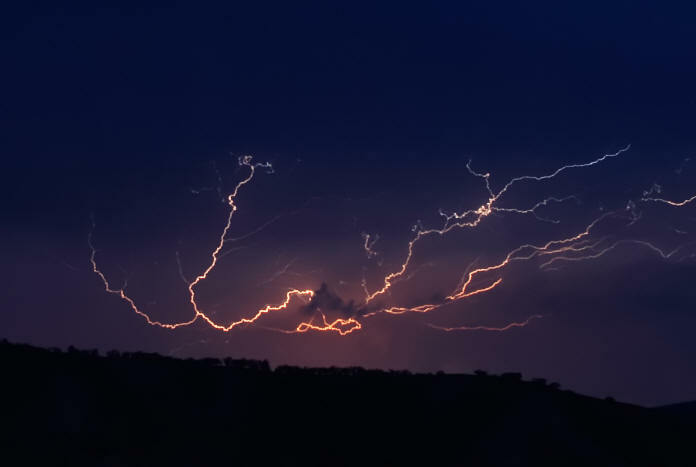 What we’ll show below is that the synchronized X-ray and optical emissions, both in their nature and timing, correspond very well to what we now know about terrestrial lightning as well as plasma arcs at even smaller scales. Let’s break down this analysis by looking at the black hole binary systems in question, understanding the data and observations, discussing briefly some relatively new things we’ve learned about terrestrial lightning and other electrical arc phenomena, and then seeing how it all ties together. GX 339-4 was first discovered in 1973 and is considered a black hole candidate (BHC) due to its X-ray emission patterns (which, following circular reasoning, were similar to other BHC’s). GX 339-4 is a binary system where the black hole is thought to orbit its dim companion star about once every 1.7 days. The optical counterpart was only discovered in 1982 when it flared very brightly at the time. Swift J1753.5-0127 is also theorized to be a candidate for a black hole simply because of its X-ray emissions. It was discovered in 2005 when a particularly violent X-ray outburst was picked up by the Swift Burst Alert Telescope in 2005. In July 2008, Zurita et al. determined that the BHC orbits around what is likely a main sequence star with an orbital period of 3.2 hours. Again, it is a “transient X-ray” black hole binary with an optical counterpart. It is important to note that no one has observed a black hole. There’s an X-ray source that’s been mapped to a location in the sky. Everything else: black holes, accretion disks, that’s all interpretation. Ignore the artist’s conception in the report for a moment and understand what is really being observed here. There’s an X-ray bright spot that flickers in X-ray wavelengths, and that is assumed to be a black hole with an accretion disk (because that was assumed in another paper by someone else). As it happens, there’s an optical counterpart (something seen in the same location in the sky in visible wavelength) for this X-ray source. So we see a bright spot in optical and we see a bright spot in X-ray. These bright spots “shimmer” in X-ray and optical light in about the same place in the night sky. So be careful with these artist’s conceptions of accretion disks and so on. No one has seen that. Both systems are believed to be two bodies separated by a few million kilometers. That is very close, well within Mercury’s orbit relative to the Sun for example. Theory dictates that the X-rays originate in an accretion disk formed around the black hole fed by heated matter pulled out of the optical counterpart (a star like our sun). The optical light is thought to be a secondary product of X-rays energizing the surrounding gases. However, the findings completely rule out that model. The investigative lead, Poshak Gandhi, states, "Instead the variations in the X-ray and visible light output must have some common origin, and one very close to the black hole itself." In the original report on GX 339-4, Ghandi et al. show that, over their nights of observation, the optical peak lagged the X-ray peaks by about 150 ms. The authors in their discussion begin to hypothesize about reconnecting magnetic field lines, dense magnetized blobs falling towards the black hole, etc. I won’t get into “reconnecting magnetic field lines” and the physical implausibility of that idea. However, there are other sources on this website that discuss that particular fiction in some detail. Similar cross-correlation between the timing of the X-ray and optical emissions were also noted for Swift J1753.5-0127. In this case there was an optical dip that preceded the X-ray peak followed by a weak optical peak. In another report on X-ray transient XTE J1118-480, Kanbach et al. (2001) found that the optical peak lagged the X-ray peak by about 0.5 seconds with an odd “precognition blip” before the X-ray. Durant et al. state at the end of their article that “....there exists a causal link between the optical emission and the X-ray emission.” I would like to propose that this causal link is probably something a lot like lightning. Tom Wilson has a PhD in cell biology but for the last 16 years has been posing as an Electrical Engineer in the semiconductor industry.